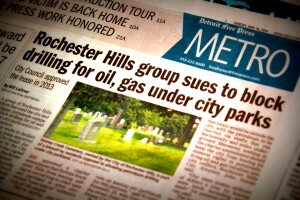 On May 15, 2014, a grassroots group of citizens opposed to oil and gas drilling projects in Rochester Hills filed legal action against the City for signing a lease for oil and gas exploration of City-owned park and cemetery properties without seeking approval from the residents. On May 18, Detroit Free Press Staff Writer, Bill Laitner, wrote a balanced story by presenting arguments on both sides of the issue. 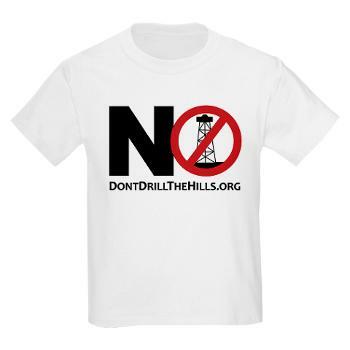 The title of the story ‘Rochester Hills group sues to block drilling for oil, gas under city parks’ may be misleading as it suggests the lawsuit is about opposition to oil and gas drilling. In fact, as detailed in the Don’t Drill The Hills Press Release, the lawsuit alleges the City of Rochester Hills denied the citizen’s right to vote and violated it’s City Charter. The intent of the lawsuit is not to block drilling for oil, but to bring the matter to the residents of Rochester Hills for a vote as dictated by the city and state law. The story does include a notable quote from a Former city councilman, Jim Rosen, who voted against leasing the city’s land for oil and gas drilling. He said “I still think it is too much of a stretch” to deny residents the chance to vote.